...just because this way was new to me and so it might be new to you, and I was impressed at how little apple got wasted! What do you think? Apples in the corner(s) or not? I like the splash of red to contrast with all the green but think I prefer just one apple at the bottom to one in each corner. You are truly a mine of information! I agree about the one apple, and I'll try out the method, but doesn't the word "apple" look ugly with its single ascender? 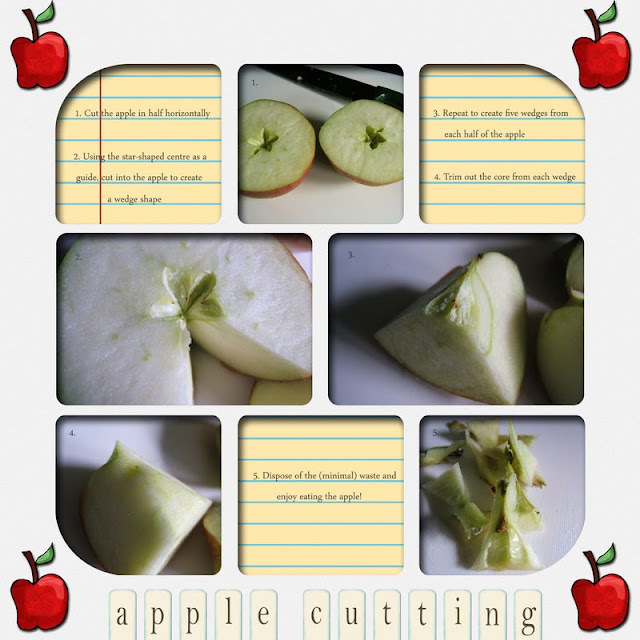 It's rather comical that you got so excited about an apple cutting technique that you had to scrap AND blog about it! I'm with everyone else - the single apple. Hee, hee... apple cutting! 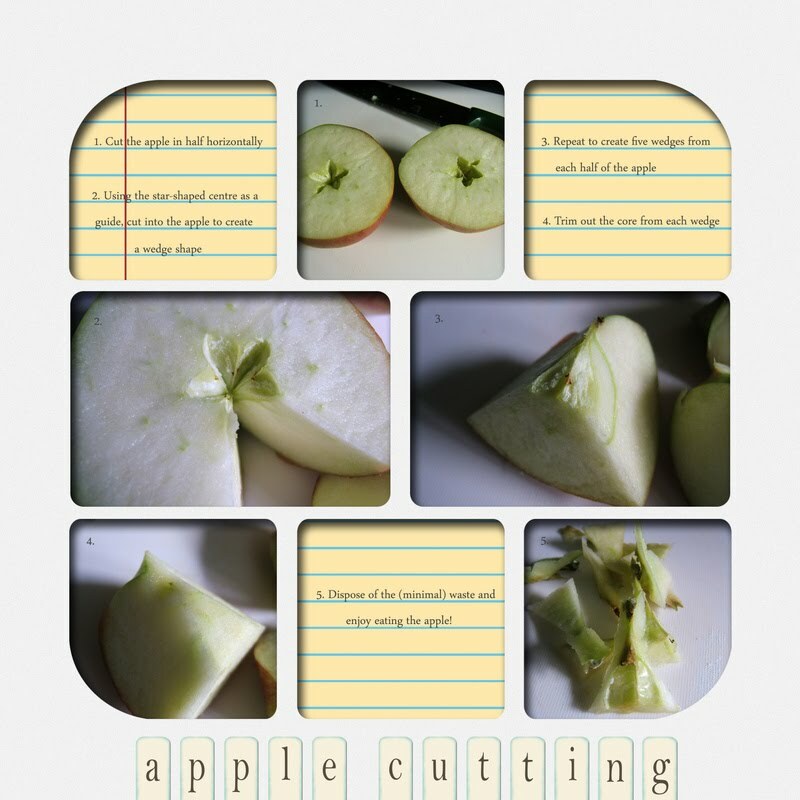 But it is a good way to cut up an apple and you're right about the minmal waste. Like the layout - esp. the rounded corners and "note paper" for journalling. I wonder if making the top and r/h borders slightly narrower might help the balance a bit? Also, the one apple in the corner is good, but how about a little bit bigger and at an angle, towards the l/h edge? I think it would look more considered and balanced that way. Just to be different...I actually like the version with no apples best...which is a bit strange as I'm an embellishment lover!! This method would be no good for me though...my dogs would sulk for days if they didn't get the apple cores!! 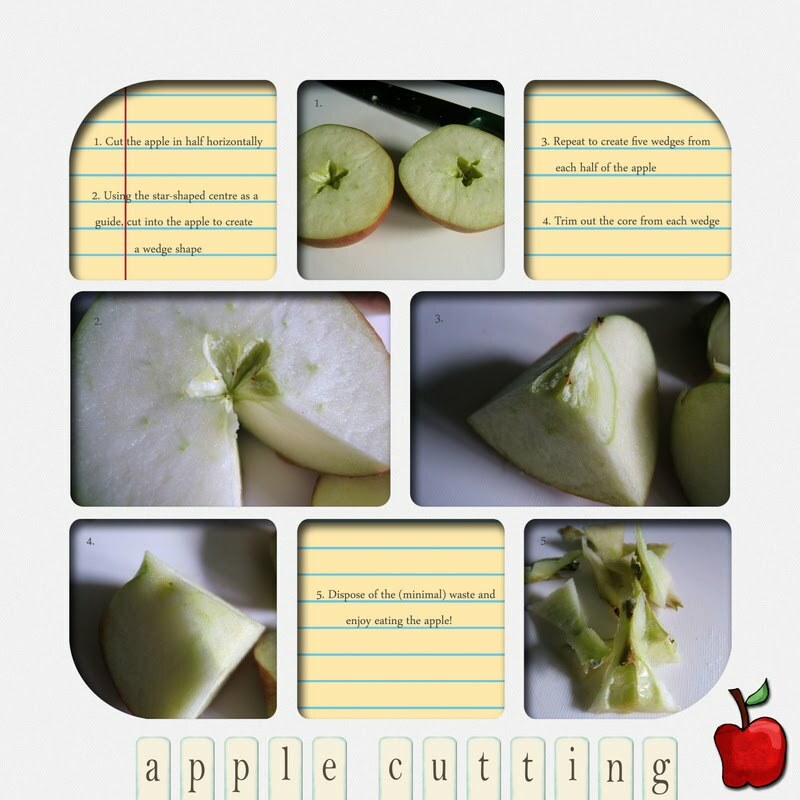 What a great way to cut the apple! Ok, the red is good - I like the one that has just one apple at the end .... I think it could look good under point 5 on the notepaper too. Another vote for just one apple. 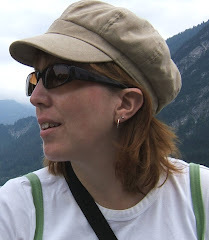 Great set of photos and interesting post. I like the layout with one apple too, your digi layouts are great.